What a day in Liverpool! After initially calling their demonstration for Manchester, the North West Infidels and National Action decided that they’d have another bash at Liverpool instead. What a rookie error that was. 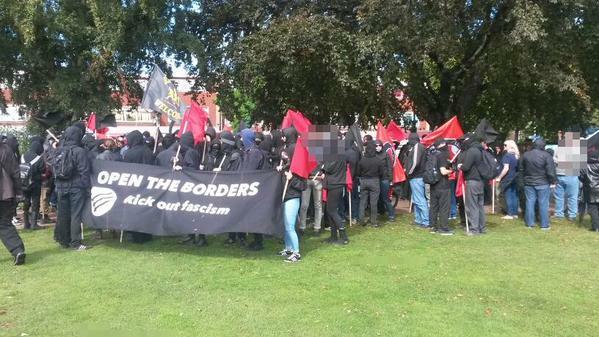 This Saturday 4th the AFN will be mobilising in different locations across the country to oppose multiple far-right threats. 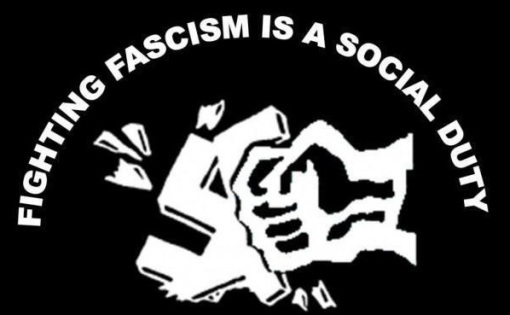 Join us on the streets to show the fascists how isolated they are! The situation with some of these fascist demonstrations has changed since our last post. For continuing updates on the situation with all these mobilisation keep checking our twitter feed. 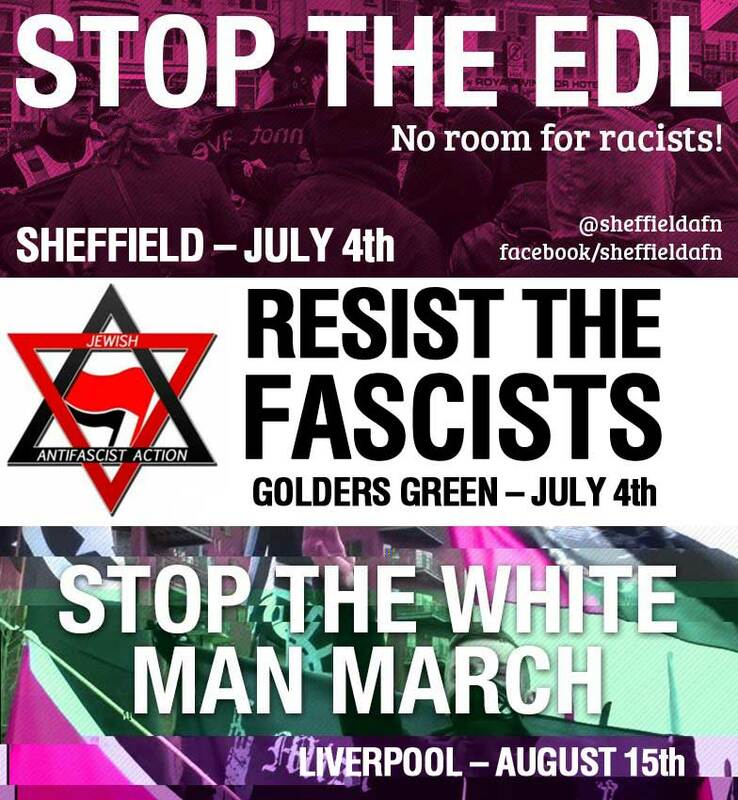 On July 4th groups from the north will concentrate on opposing the EDL national demo in Sheffield, while groups from the south will support Jewdas’ demonstration against neo-Nazis in Golders Green in North London. On August 15th we are making a national call-out for everyone to support the mobilisation against the neo-Nazi ‘White Man March’ in Liverpool. We call on all those opposed to racism, Nazism and Fascism to join us in these actions.